Integrative Medicine is a concept that has been brought to the forefront of the public by Dr. Andrew Weil who is a professor at the University of Arizona. It is based on the concept that our bodies are wonderful at being able to heal themselves if given the opportunity. Think about what happens when you break a bone. Is it the doctor who heals it? No, the doctor sets the bone, but it will heal itself. When you cut yourself, is it the ointment you put on it that repairs the cut? No, it is the body’s healing process that gets the job done. With that in mind, the integrative approach looks at the physician patient relationship as a partnership to aid in the healing of the individual. “Individual” is the operative word in that statement. Each person is unique and has his or her own specific needs, beliefs, and healing systems. Integrative Medicine respects that uniqueness. It draws on both conventional and complementary medicine to form a plan for health and healing for each individual. This plan is based on good science. It is also mindful of treating the whole patient mind, body and spirit, and focuses on promoting health and preventing illness as well as treating disease. Bottom line: Integrative Medicine is simply good medicine! If you are interested in finding a doctor who has completed the Integrative Medicine Fellowship Program with Dr. Weil you can go to: www.integrativemedicine.arizona.edu and click on the “Find a PIM Graduate” section located on the right side of the page. Click on your state and it will list the graduates with their phone numbers and addresses. 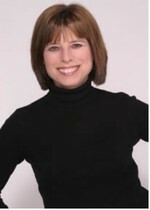 If you are interested in finding out more about Dr. Miller’s clinic you can go to: www.triunemed.com.